Would you like to have a lot more energy? Many of our clients receive Energy Healing sessions because they’re feeling stuck with their health, relationships, career, finances or creativity. When your energy is stuck you can feel stressed, exhausted and overwhelmed. You’re aware that you’re not functioning at full capacity and know that you’re capable of so much more! Rubimeds help many people suffering from emotional baggage and the associated physical symptoms which can be crippling. Rubimed Therapy is natural healing method that helps in resolving emotional blocks that we all experience in our lives. It utilizes an ancient healing method and a modern complimentary approach, which addresses emotional issues that are affecting a person's mental and physical health. Rubimed Therapy as known as Psychosomatic Energetics refers to mind, body and energetic connections. PSE was developed on the premise that all of the body's physical, mental and emotional conditions are connected to energetic blocks. These energetic blocks obstruct the flow of energy through the body’s seven main energy centres located along the spine. These blocks interfere with our emotions and affect the proper function of our organs and autonomic nervous system. They also lead to deficiencies at a cellular level, which results in a number of symptoms and complaints. Everyone knows from daily experience that body and soul are inseparably intertwined, and this knowledge is expressed by a number of familiar phrases: "Something’s eating at him." or "I’ve got a knot in my stomach." or "My heart is breaking with sorrow." From the Rubimed perspective, these generally “unfulfilled” feelings act like sand in the gears. Hidden and/or concealed emotional problems fester and eat away at a person and deplete them on the mental emotional and physical level. How to change your constant self-criticism and limiting self-beliefs. How to dissolve old emotional conflicts that you have been trying to avoid (it’s easier than you think). How to make those emotional triggers a thing of the past. How to make peace with who you are first. Why daily self-love is essential to Transforming from within. To increase your energy, feel less stressed, and enjoy improved self-confidence, health and wellbeing. Call or email Angela now to begin your transformation. Life is too short to be spent feeling unhappy with yourself! Crystals can and are used for a range of reasons such as anxiety, pain, emotional discomfort, pain, bad breakups, or to try and find a deeper purpose in ones lives. The healing is different for everyone and depends on what that individual needs most to shift in their energies." Crystals can bring harmony to your body, mind and spirit. They are natural energizers and can clear and transform energy in a space and one's auric field. A crystal therapy session can introduce you to the beautiful healing power of crystals and also support you in manifesting your ideas and intentions. Crystals can be used to ensure the chakras are balanced and aligned on all levels of our body and assist the energy to flow freely. Together with our physical body we also have a subtle energy body that consists of channels of energy called the meridians. The Chakra systems are part of these meridians. 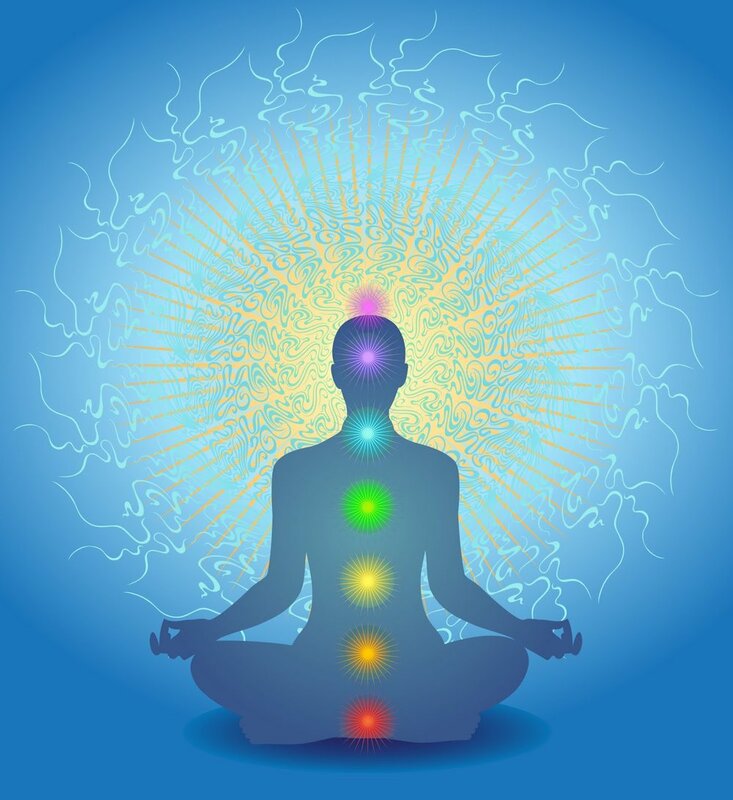 The chakras are the seven main energy centres of the body. They exchange energy with the outside world and when energy flows freely, we live in a state of balance in the mind, body and spirit areas. When the flow of energy through the chakras is blocked we can become out of balance and alignment. Each chakra enhances different qualities on the physical, emotional and spiritual levels. Crystal energy clears any blockages in the chakras and ensures that the chakras flow with energy. 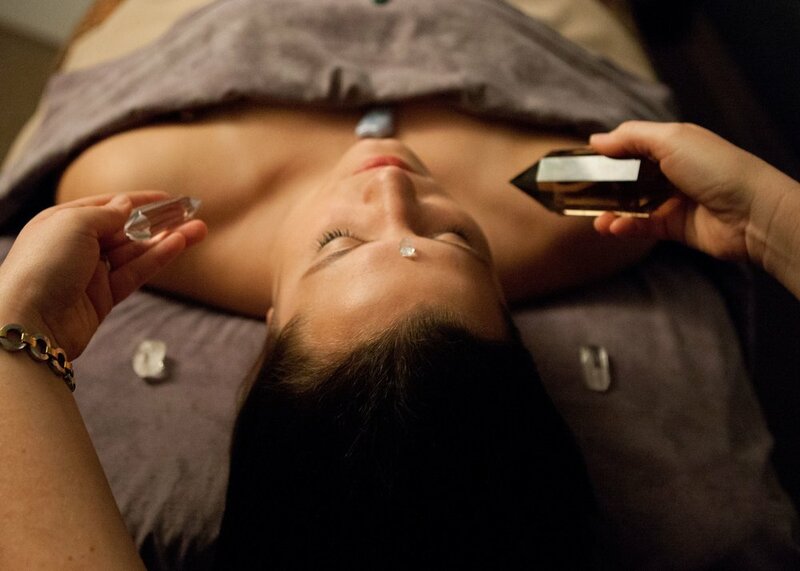 Crystal therapy can also be used to release emotional blocks. They can help remove obstacles and blocks as well as assist with growth and transformation. Call or email Angela to book your session today. Like adjusting a piano, your body can be tuned to achieve optimal physical balance. Tapping two tuning forks will instantaneously alter your bodys biochemistry and bring your nervous system, muscle tone and organs into harmonic balance. In seconds … your body enters a deep state of relaxation. Feeling centred, your mind will be at peace. Vibration and sound are pure energy. It’s essential to realize and acknowledge that all things vibrate: atoms, cells, nerves, blood vessels — all living matter, including the Earth itself. This is the basis of the laws governing quantum physics. Tuning Fork Therapy is like having a deep-tissue massage at a molecular level. Vibration and sound/music pass through the mind and take us to a “feeling” place. Thoughts drift away, feeling takes the lead, and meditation can be more meaningful, as well. Tuning forks were originally used to tune musical instruments because they emanate perfect sine wave sound patterns that allow you to fine-tune instruments to the proper pitch. When you strike a tuning fork however, you’ll notice how it causes the air around the fork to vibrate, sending out very strong vibrating impulses through the air. Because of this, they have been adopted by healers who use them to increase the amount of energy on parts of the body they are trying to heal. All you do is strike a fork and place it near any body part you wish to heal. They are also used in energetic healing, for example, by putting them in the vicinity of the different chakras or energy centres located along the spine. These energy centres also just happen to be where the nerve centres are found along the spine that send impulses to the different organs, so by energizing these areas, you stimulate the organs into greater health-giving activity. Our bodies are made up of 60 percent water, which is an excellent conductor of vibration and sound. Sound waves travel four times faster in water than through air. Our own heartbeat or pulse is very similar to a wave generator, sending signals to our nerves and cells with every beat of our heart. It actually acts as an internal metronome. We can learn to “set” our internal metronome, which is a great tool for controlling our metabolism. With Sound Healing, we have the opportunity to clear and reset our vibrational equilibrium. Sound and vibration affect each of us. It’s time for us to make our own choices as to exactly how we are affected. A session will typically last approx. 60 - 75 minutes allowing time for a brief initial consult and a short 'debriefing'. The cost of a single visit is $80. Please inquire about a reduced rate for multiple sessions. Chakra Balancing with Tuning Forks 30 minutes $45. Call Angela to book a session now. Ultimate Energy Healing: Restore Harmony to your Body & Soul. This Integrative Energy Healing Therapy combines Bowen Therapy's gentle resetting of the physical body and initiates a communication process by which the body will address shifts as needed. This opens up the meridians for the crystal chakra balancing and alignment. Crystal energy clears any blockages in the chakras and ensures that the chakras flow with energy. The crystals are then placed on the body on chakra points and centres. Together with our physical body we also have a subtle energy body that consists of channels of energy called the meridians. Once placed on the meridians, together, they insure the chakras are balanced and aligned on all levels of our body and assist the energy to flow freely. Finally, the turning forks are utilized on the energy centres that happen to be where the nerve centres are found along the spine that send impulses to the different organs, so by energizing these areas, you stimulate the organs into greater health-giving activity. This brings your nervous system, muscle tone and organs into harmonic balance. The body enters a deep state of relaxation. Feeling centred, and at peace. This integrative energy healing combination allows the body to achieve optimal physical balance. Call Angela to book your session today. Initial Consultations are one 1-1.5hrs in length. This includes a full health and lifestyle questionnaire analysis, testing of autonomic system dysregulation and imbalance, identifying the blockage and emotion conflicts, discussion of the testing results and addressing any concerns and an individualised personal care plan. Follow-Up Consultations are 30-45 min. in length. This includes addressing the blockage and emotional conflicts, questions about the process and dissolving of the conflicts, concerns and an individualised personal care plan. Quick Visits are 15-20 min. in length. This includes check the current blockage and emotional conflicts, questions about the process and dissolving of the conflicts, concerns and an individualised personal care plan, adjustments of dosing etc. Initial Consultations are one hour in length. This includes a full health and lifestyle questionnaire analysis, testing of autonomic system dysregulation and imbalance, identifying the blockage and emotional conflicts, addressing any concerns and an individualised personal care plan. This includes addressing the blockage and emotional conflicts, questions about the process and dissolving of the conflicts, concerns and an individualized personal care plan. Adminstration of next sets of tested remedies. Follow-Up Consultations up to 25 min. in length.
" Health is a state of complete harmony of the body, mind, and spirit."